“Marking” is typically understood as indicating on either a package or a product itself a patent number of a patent that covers the product. If the patent has not yet issued, sometimes the term “patent pending” is used, possibly followed by the patent application number. As the expression suggests, false marking is a marking that is incorrect. There are various ways the marking can be incorrect, for example if the indicated patent does not cover the product, has expired, or does not cover the specific territory where the marked product is placed on the market. A number of actions may be found to be “false marking”. For example in the United States, false marking of patents is covered in 35 U.S.C. 292 which provides a complex ruling for various false marking scenarios. 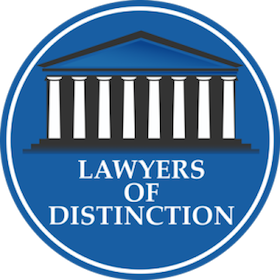 Some jurisdictions require that the alleged infringer has been on notice about the patent for being liable for past infringement damages. This means, absent a marking or other ways how the alleged infringer may have obtained notice about the patent, the alleged infringer may have a defense against liability for infringement in the past. The right to obtain injunctions in these jurisdictions based on the patent is typically not affected by non-marking since injunctions have an effect into the future when the alleged infringer is on notice. What are the risks of marking? Specifically for more complex products that are covered by an entire patent portfolio, it is difficult to constantly update the marking since patents expire or are abandoned. This failure to update may result in false marking claims raised by any third party. Further, since one and the same product might be sold worldwide, it is difficult to customize the marking for different countries. Particularly changing the marking on the product itself but also on the packaging can only be done in batches so that it is almost unavoidable that a number of products/packages carry an outdated marking when being placed on the market. What is “virtual marking” or “webmarking”? In some countries, for instance in the US and the UK, it is accepted to list the patents on a website that is connected to the goods to be marked in lieu of an actual patent marking on the product/package. This way, the marking can be easily updated on that website. Depending on the patent portfolio size, the administrative burden may vary for keeping the website updated so that patents are removed from the list before these expires or go otherwise abandoned. How does marking in the US compare to Europe? The European Patent Convention EPC itself does not require marking. Likewise, the EPC is silent about the implications of marking and leaves this to national laws, in many countries including national competition laws. The question of marking cannot be answered for all of Europe but only on a country-by-country basis. As to why marking is done: It may help with recovering past damages, in some countries it helps more, in some less, and in some not at all. As to the risks of marking: Running into a false marking problem, in some countries at a higher likelihood and some countries at a lower likelihood while also the liabilities for false marking differ from country to country. When there is no “European” solution, what shall we do? The potential benefit of having put the alleged infringer on notice by marking needs to be weighed against the risk of running into false marking problems, and this balancing may be further weighed by the efforts for keeping the marking updated. If the size of the market is big enough, this balancing can be refined by looking deeper into the national laws in these countries. Many market participants choose not to mark since the false marking risk + effort to keep marking updated outweigh the benefit. If doable with reasonable efforts to keep the website updated, “webmarking” would be a good marking method, at least capturing the countries where webmarking is recognized. How to mark by a European Patent validated only in some EPC countries? The potential for false marking problems may arise in European Patent Convention EPC countries where a good is placed on the market that is marked by a European Patent but that European Patent has not been validated in the countries or has gone abandoned, e.g. for non-payment of renewal fees. 1. In some validated countries, national publication/registration numbers are provided. Using these numbers for marking instead of the European Patent number makes it clear that the marking is done only for that validated country. 2. When no national publication/registration numbers are available in one or more validated EPC countries, the European Patent no. may be provided with the addition “validated only in” followed by the 2 letter country codes where the European patent is in effect. Alexander Schlee is a registered German, European and US patent attorney and holds the German equivalent to a master’s degree in Mechanical Engineering. He is the founder of Schlee IP International P.C. in 2007 succeeding a Los Angeles branch office he founded as a former equity partner of Viering, Jentschura & Partners in the year 2000. Among other volunteer activities he served on the State Bar of California International Law Section Executive Committee and is a former president of the Los Angeles Intellectual Property Law Association LAIPLA. 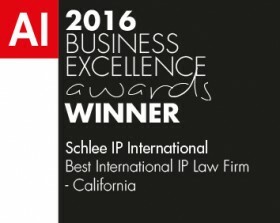 Alexander Schlee assists particularly clients having strong international Intellectual Property interests, among these especially clients doing business between the United States and Germany.